Mar. 15 – China’s State Administration of Taxation (SAT) recently promulgated the “Administrative Measures for Online Electronic Invoices (SAT Order No.30, hereinafter referred to as the ‘Measures’),” which standardizes the issuance and use of online electronic invoices (or “fapiao”). The Measures will come into effect on April 1, 2013. The system serves the dual purpose of enhancing efficiency for taxpayers in terms of the tax declaration and for tax authorities in terms of tax administration. Under the online electronic invoicing system, taxpayers will register with the tax authorities to open an account. To issue an invoice, they will fill out the required information and issue the electronic fapiao online. The issued fapiao is verified through matching the information against that in the online system. This contrasts with using traditional paper invoices, whereby the taxpayer has to physically travel back and forth to the tax bureau to obtain and verify invoices. Taxpayers also have to purchase machines for printing paper fapiao from the local tax authority. These are not necessary under the online invoice system, thus effectively lowering the extra costs associated with both tax collection and payment. Furthermore, the tax authorities can monitor taxpayers’ information online and curb issues such as fake invoices, thus preventing loss of tax revenue. 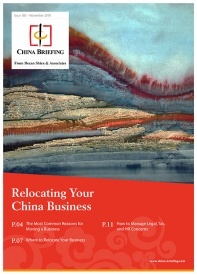 The online electronic invoicing system was launched in select locations in China on a pilot basis in 2009. According to the Measures, tax authorities at or above the provincial level can adopt the online electronic invoice system on a pilot basis if they can ensure the reliability and safety of the invoicing system. Issuing invoices (or fapiao in Chinese) is an essential element of China’s tax system. It keeps records of transactions and serves as important evidence of tax payment. It is also the way in which the government monitors value-added tax (VAT) paid on any transactions. 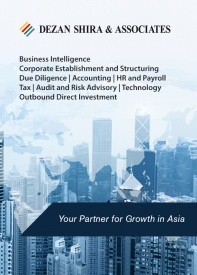 Fapiao can mainly be sorted into two categories – general invoices and special VAT invoices. Special VAT invoices are issued by general taxpayers to their customers when selling commodities or providing taxable services. Enterprises or individuals who are not able to issue special VAT invoices (for example, business tax taxpayers and VAT small-scale taxpayers) should issue general invoices when selling commodities, providing taxable services, or conducting other operating activities. For further details or to contact the firm, please email china@dezshira.com, visit www.dezshira.com, or download the company brochure. 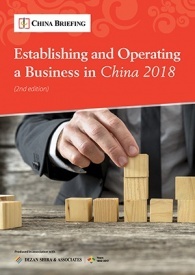 This edition of the China Tax Guide, updated for 2013, offers a comprehensive overview of the major taxes foreign investors are likely to encounter when establishing or operating a business in China, as well as other tax-relevant obligations. 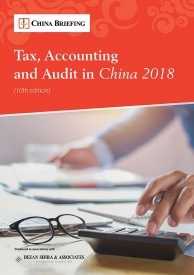 This concise, detailed, yet pragmatic guide is ideal for CFOs, compliance officers and heads of accounting who need to be able to navigate the complex tax and accounting landscape in China in order to effectively manage and strategically plan their China operations. 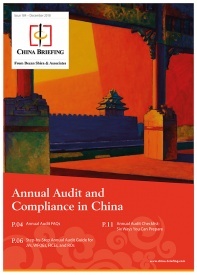 This issue of China Briefing details FCPA regulations, fraudulent accounting practices within Chinese companies and due diligence issues for IPO listings. 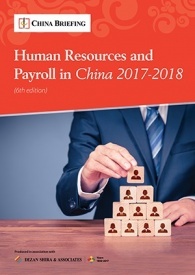 It also covers PRC GAAP regulations, compliance with them and the differences between EU and U.S. standards. VAT reform is a confusing transition for many and introduces a number of additional questions, such as exactly what types of input VAT are now deductible. Confusion about the new laws may also allow opportunistic companies to charge higher prices and blame the increase on the tax reform. 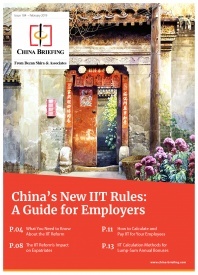 To add some clarity to the issue – and VAT in general – this issue of China Briefing takes a look at a number of VAT-related questions.